The main difference between the 2 is that processes cannot be started from Orchestrator on Front-office Robots. On FORs, only a human ca trigger the process from the robot tray app. 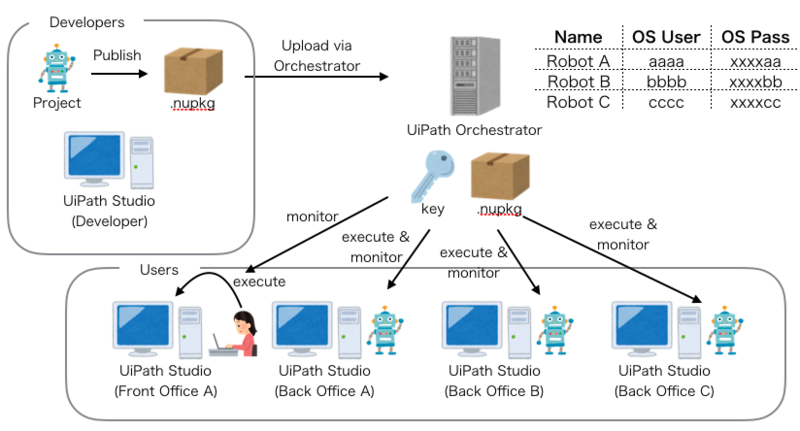 Back-office robots can do everything FO robots can, plus they can be remotely started from Orchestrator.